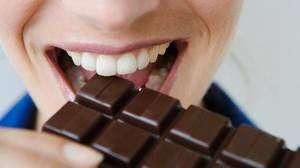 Everyone knows how to carry out healthy oral hygiene – brush between meals, floss regularly and… eat chocolate! New studies at Tulane University have shown that an extract from cocoa powder that occurs naturally in chocolate might be an effective natural alternative to fluoride which is found in your toothpaste. Tooth decay occurs when bacteria in the mouth turn sugar to acids, which end up eating away at the tooth’s surface (the enamel), and causes cavities. Japanese scientists at Osaka University in Japan have tested the chocolate theory on rats by adding an extract of cocoa bean husk to the rat’s drinking water whilst another group of rats was infected with bacteria responsible for plaque and tooth decay, whilst being fed a high-sugar diet. Results of the study found that the rats with the high sugar diet had 14 cavities on average compared to just 6 cavities for the rats who received the cocoa bean husk in their diet. A researcher from Osaka University in Japan stated their findings could lead to new treatments for tooth decay and it may be possible to use cocoa bean husk extract in a mouthwash or supplement it to toothpaste.